Eckard Vossas is performing live at the Köln LOFT on the 24th of November 2011 20:30 on Kyma and Continuum, augmented by a variety of other synthesizers and controllers in a concert entitled eImprovisationen. 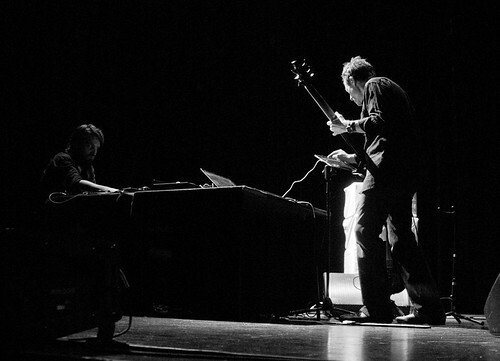 The focus of Vossas’ LOFT debut is spontaneous and free improvisation with live electronics, primarily the Kyma system with its enormous possibilities. Everything in the improvisation’s sound structures are controlled primarily by a Haken Continuum Fingerboard, complemented by an arsenal of additional controllers and pedals. The starting point of the individual pieces are randomly selected, found or ready-made preset sounds, generated or combined sound structures, or sound transformations whose sound characteristics can be changed drastically by a variety of live controllers. A Ready-Made Sound becomes a primordial soup in a real-time evolving spectrum of sound events and timbres. Each performance explores the resulting musical space, playfully and experimentally dealing with the emerging structures of sound, as if a newly invented instrument were being discovered. The Continuum, which allows for musical ideas to be directly translated through the fingers into sound parameters, is particularly well suited to this expressive, evolutionary game. Vossas has been making improvised music for 35 years, first with piano and keyboards, then with synthesizers. He has been exploring the universe of electronic sounds with the Kyma system since 2002. Composer Scott Miller will be in London working with the ensemble rarescale for their concert at Shoreditch Church on Wednesday, November 23, which is to feature the premiere of his new work, Anterior/Interior, written for rarescale flutist Carla Rees. Anterior/Interior is for 1/4-tone alto flute and Kyma and is an exploration of microtonal multiphonics that are isolated, dissected, and exploded into relief against the beautiful, complex timbre of the flute. The concert will also include other interactive and improvisational Kyma works by Miller, performed by Carla Rees, including Lovely Little Monster and haiku, interrupted. Composer and rarescale member Michael Oliva has also invited Miller to do a presentation on his use of Kyma in interactive, improvisational music at the Royal College of Music. The culmination of two years of research and development, Kyma X.82, a new software update for the Kyma X/Pacarana sound synthesis engine, is specifically designed to take advantage of the expressive capabilities and extended control offered by today’s new crop of alternative controllers and cutting edge musical interface designs. 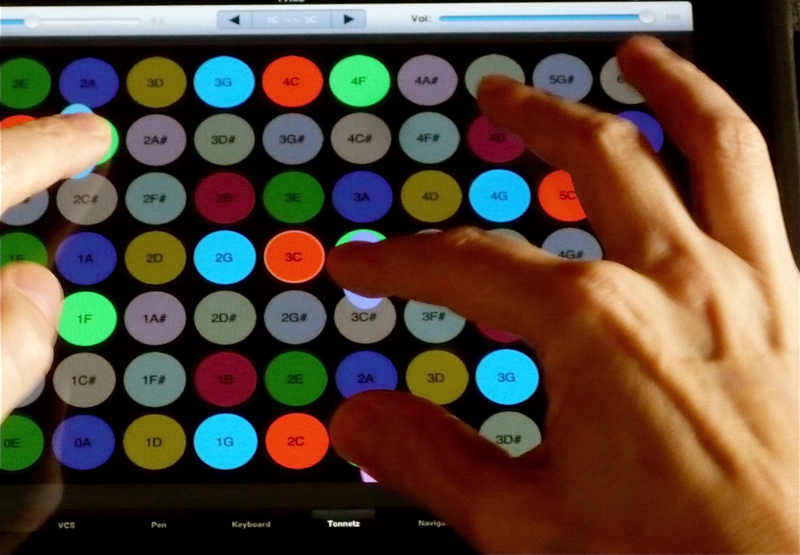 The recent explosion of interest in new musical interfaces and alternative controllers for sound design and music has created a need for sound synthesis and processing engines that can take full advantage of the increased bandwidths, higher resolution, lower latencies, continuous pitch and velocity values, and subtle expressive capabilities of these new controllers. Symbolic Sound has a long history of support for alternative and extended controllers in Kyma X, and Symbolic Sound’s newest release, Kyma X.82, introduces several additional features to support these innovative musical interfaces and alternative controllers. Features in Kyma X.82 include over 20 new morphing sound synthesis algorithms, support for 14-bit MIDI controllers, and the publication of Kyma’s OSC protocol to support and inspire future developments of new instruments and controllers that can exploit Kyma’s responsive, high-resolution sound synthesis and processing algorithms in a seamless, plug-and-play manner. Whether you are a sound designer performing expressive creature voices to picture, an electronic musician performing live on stage with alternative controllers, or a composer using physical controllers to create dense multi-layered textures of sound in the studio, you will be able to take advantage of Kyma X.82’s ease of parameter-mapping, low latency, high-resolution parameters, and legendary sound quality. Additional features of the new release include enhanced multichannel panning and effects, higher quality spectral analysis, and a 40% speedup in the software executing on the host computer. Using one of the new Morph3d objects to morph among a re-synthesized Tuva singer, bongo, flute, angry cat, female voice, violin, cat meow, and shakuhachi using Kyma Control on an iPad. The foreground ‘melody’ is performed live on a Continuum Fingerboard, using KeyTimbre (near/far) and KeyVelocity (pressure) to morph between re-synthesized violin, trombone and flute. In the background, Kyma is generating the Sax/Flute morph pattern. The key-mapped spectrum of an organ is re-synthesized through a FormantBank with a slowly changing formant. The voice is a key-mapped spectral analysis/resynthesis using sine wave oscillators. A key-mapped flute spectrum is re-synthesized with a time-stretched attack and played on the Tonnetz in Kyma Control. A re-synthesized voice morphing to re-synthesized bowed glass performed on the Kyma Control keyboard. In the background, a key-mapped piano spectrum performed on a standard MIDI keyboard is re-synthesized through a FilterBank with vinyl clicks as the input to the filter. A key-mapped CloudBank on a set of piano samples, performed on a standard MIDI keyboard. Key-mapped piano spectra re-synthesized by a FormantBank played on standard MIDI keyboard with ModWheel controlling the formant to create the ‘squeals’. For a full list of features in the new release please see the Kyma X.82 Press Release. The Minibus Pimps (aka John Paul Jones, Helge Sten, and a minibus’ worth of electronics, instruments, iPads, and two Kyma/Pacaranas), will be performing at the Alte Feuerwache in Mannheim on Monday November 14, 2011 at 8 pm as part of the Enjoy Jazz 13th International Festival for Jazz and More. Unique lighting choreography outlined the duo like spirit figures in an Asian shadow-puppet play. To old-timers, the music of the duo evokes Led Zeppelin, “Metal Machine Music” and “Walk on the Wild Side”. The two made use of “Kyma”, a computer music language, to quickly create sound algorithms no one has never heard before. I have rarely in my life, under live conditions, experienced such a clearly contoured, perfectly staged dramatic Noise as one piece of music. Noise, yeah, noise! Much as one might expect from an old pioneer of the avant-garde, but this is by Helge Sten and the ex-Led Zeppelin’s John Paul Jones, a man with new ideas exploring new technologies. This was not a soulless demonstration of a computer program: sounds were unleashed, the old tendencies of experimental rock music and “drone music” were picked up and catapulted into the year 2011. What a poignant ‘wall of sound ‘! Twice the duo kindled a violent storm (gale force 13). Those who did not take flight witnessed the way the noise textures become strangely melodic. A worthy finale (no guitars are burned these days but a few wild spirits are lured from machines) – the last concert on the big stage of Agden theater! Helge Sten seemed to be remembering his “dark ambient” work as “Deathprod”. John Paul Jones seemed to tap into the wild energy of an older time without falling into the nostalgia trap. Was it Neil Young who said, “It is better to burn out than to fade away”? Electronic Music Foundation is organizing a series of open meetings at Greenwich House Music School, starting with a free Kyma demo/concert/discussion in New York this Sunday, November 13, from 2-5 pm. If you’d like to come by for a demonstration of Kyma, listen to some compositions, join the discussion, and try things out, please send email to EMF (it is free, but a reservation is required). Followup studio sessions are planned for November 17 and December 1 and 8 for becoming a Kyma professional. 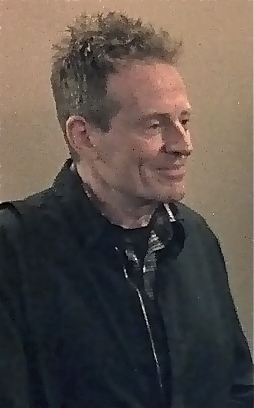 As a bassist and keyboardist John Paul Jones was a member of one of the greatest rock bands ever: Led Zeppelin. On Monday, 14 November, the 65-year-old Briton will be at the Old Fire Station Mannheim for the second appearance of the duo Minibus Pimps exploring entirely new sound spaces. In our interview, he gives an insight into the unusual sound. Jörg-Peter Klotz: Mr. Jones, previously there has been only one appearance of Minibus Pimps, at the Punkt festival in Norway. Can you explain what might happen with you and Helge Sten on stage – or is it completely open? John Paul Jones: (laughs) It’s been very open. There is a kind of map, supplied by the computer programs and the Kyma language. We play instruments, Helge and I, to control the sounds of the processors. And iPads. Within this map, we improvise. For this reason, no one knows exactly what will happen. There will be textures, sounds, noise emerging. But also notes … (laughs), but not very many. I can promise you that it sounds very intense – you will not fall asleep! What attracts you to such experimental music? I’ve been improvising for a long time, and electronic music has always interested me. In Led Zeppelin we used some very early synthesizers. It was just always a problem of how to control the sound. Then came the computer, which was the next step. After that, I’ve been involved, for example, in John Cage’s Musicircus. On the other hand, you currently play with a lot of blues rockers like Seasick Steve, comparatively simple blues-rock – you need both sides of the musical coin? Music has more than two pages! It is always the same phenomenon; there are just different ways to play it. Monday I play with Helge, then with Seasick Steve, back in March it was John Cage – for me it is always the same game and everything exists side by side. Also, I’m currently writing on a classic opera based on Strindberg’s “Ghost Sonata”. What do you find important for the general development of music: Experiments in a Sound Lab à la Minibus Pimps or redefining traditional styles that you maintain with different partners? Again, there is room for both. Music must stay alive. Therefore one must not look only to the past. Without experiments, music has no future. At the same time, the old styles are important and valuable: There is still much to talk about the blues and in rock music. I will always love to play bass, guitar, mandolin or fiddle in a band. But I also do this in order to renew music – it’s a natural development. One concept that the Enjoy Jazz Festival is importing from Punkt is that of the live remix concerts. Will you listen to the “After-Show” by Sidsel Endresen, Jan Bang and Erik Honoré? Sure. This is a great idea. I find it very interesting to see how other people play the material. Led Zeppelin’s 40 year old ballad “Stairway To Heaven” is still winning the most votes on the most popular rock song. Do you find this backward? Oh, it’s always good when people like your music. Why should I interfere with that? In 2010 when Them Crooked Vultures played at Rock am Ring, there were sparks flying between you and drummer Dave Grohl. Wouldn’t he be ideal for a Led Zeppelin reunion? There will be no Led Zeppelin reunion! But Dave and I were a very good rhythm section (laughs). And he had a blast because he enjoys being a drummer and not always the front man of the Foo Fighters. Composer Jon Bellona used Kyma to generate sounds for his interactive installation, Human Chimes, on the first night of the (sub)Urban Projections Festival in Eugene, Oregon on November 9, 2011. Despite inclement weather (40 degrees and rainy), you can see people enjoying the interaction of the sounds, their positions, and the visual projections. Jon was also the technical director for the entire (sub)Urban Projections Festival. 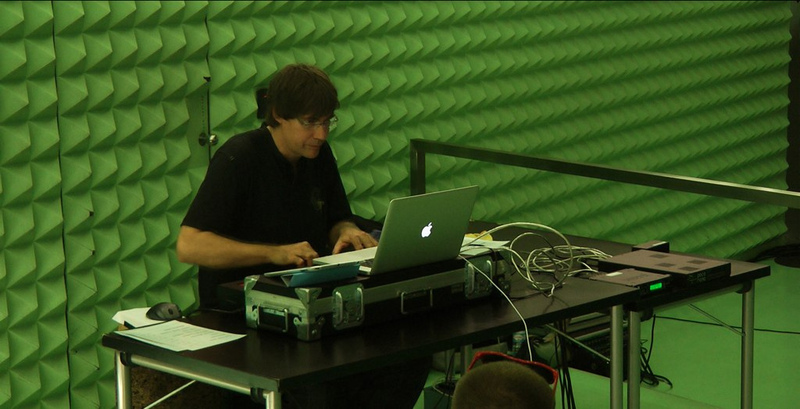 After a long absence from Victoria, British Columbia, the Mexican/Dutch composer, Hector Bravo Benard performed a solo concert of multi-channel electronic compositions on November 5, 2011 at the artist-run venu, Open Space. In addition to presenting his own compositions, Hector presented compositions by Agostino Di Scipio (Italy), Julio Estrada (Mexico), and René Uijlenhoet (Netherlands). Benard’s works for live electronics often start from sounds in the physical world, using the Kyma sound design platform to mould them, adding new depth and texture to create the unexpected and delight the curious ear. Stanley Cowell at An die Musik LIVE! 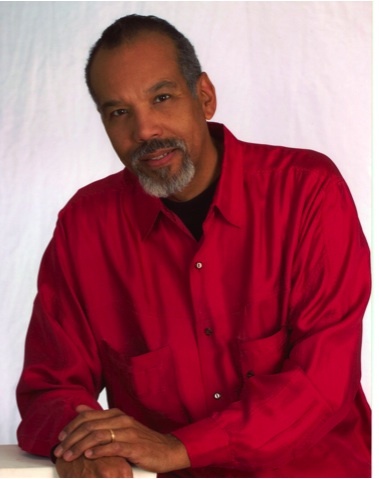 Concert, Event Comments Off on Stanley Cowell at An die Musik LIVE! Pianist Stanley Cowell with “electroacoustic enhancement by Kyma” will be joined by Vic Juris (guitar), Tassili Bond (bass) and Christopher W. Brown, (drums) as the Empathlectro Quartet performing on Saturday, November 5, 2011 at 8:00 PM at An die Musik LIVE!, a classical, jazz and world music venue in Baltimore Maryland. Audience members are invited to a post concert, meet-the-artists reception. University of Oregon director of interactive music technology, Jeffrey Stolet, premiered his new piece Hendrix de Aguadilla for Kyma and iPad (Kyma Control app) on the opening concert for Musicacoustica in Beijing on October 24, 2011. Earlier in the day, Stolet gave a presentation on Kyma and the SumOfSines Disco Club (his new book about the Kyma system), describing how Kyma is being used and taught in higher education. The next performance of Hendrix de Aguadilla will be in Chengdu, China on November 1 2011.